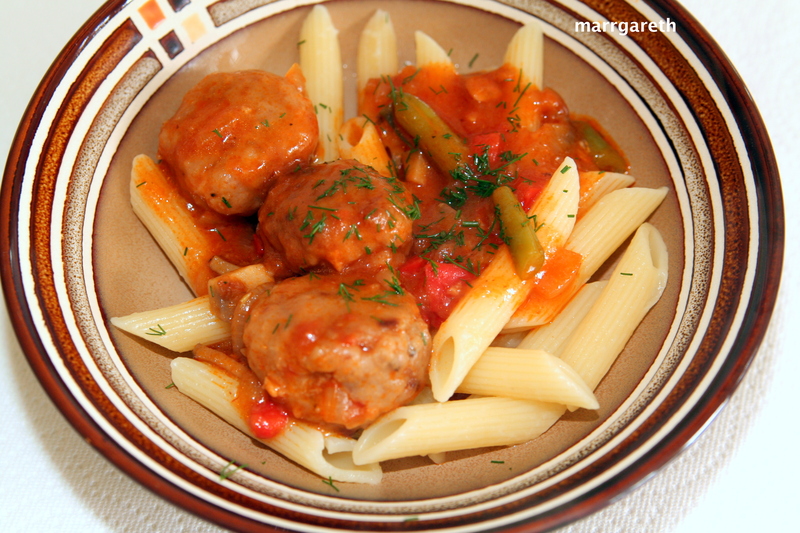 You will find here how to prepare the meatballs and delicious tomato sauce. Even poor-eaters will like these beautiful meatballs. The recipe does not contain eggs or milk. 5 tbsp all-purpose flour for dusting. Cut the onion into small cubes. 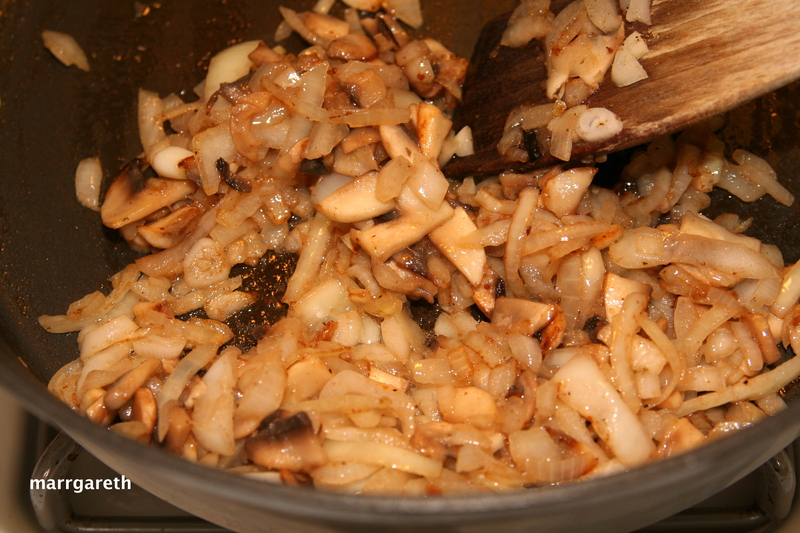 Heat the oil in a large pan, add the onion and cook, stirring occasionally until golden. 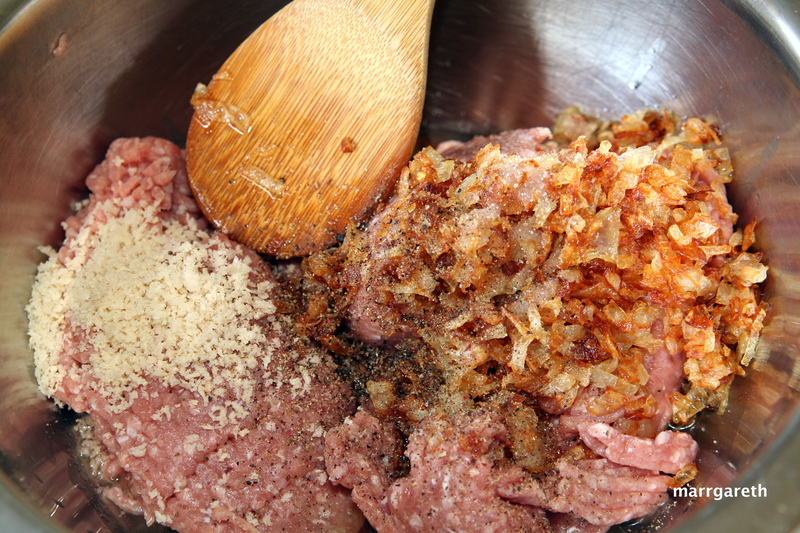 Put the meat into a large bowl, add onion, salt, pepper, bread crumbs (I prefer semolina). Mix the ingredients well. 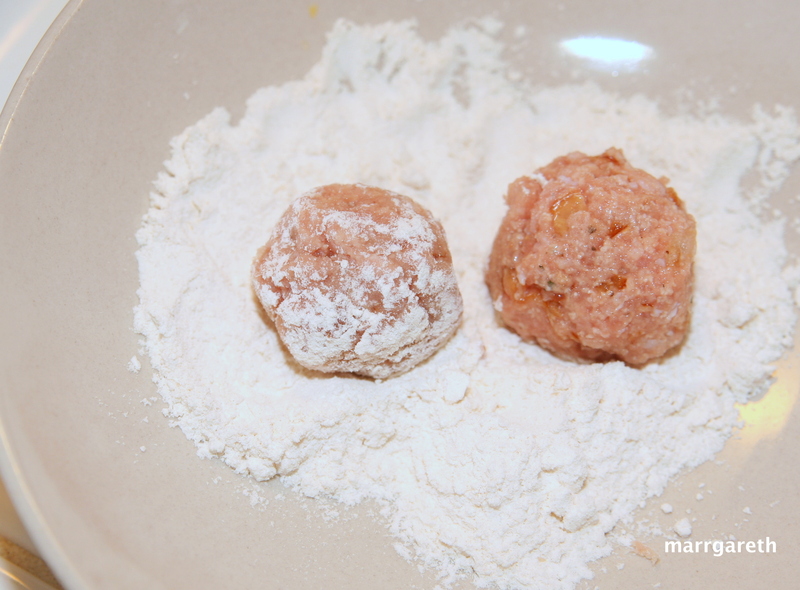 Form the meat mixture into walnut-sized balls and dip every ball in the flour. 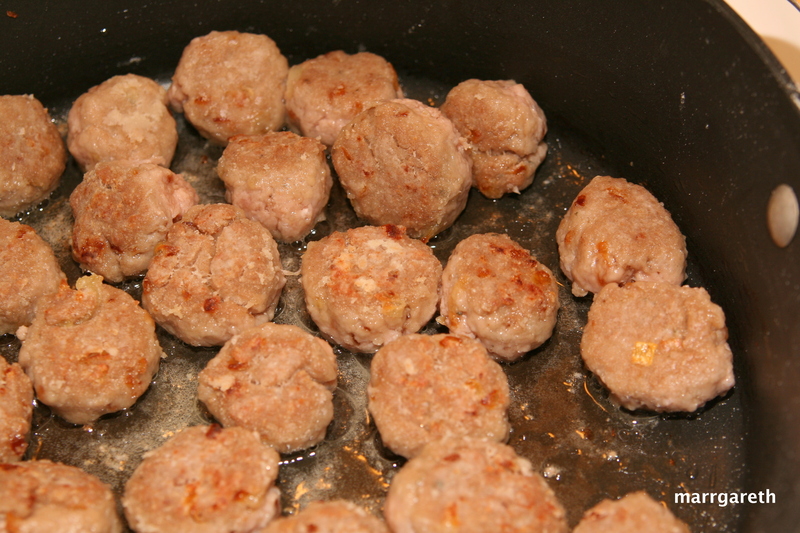 Arrange meatballs in a large cold pan and pour the oil. 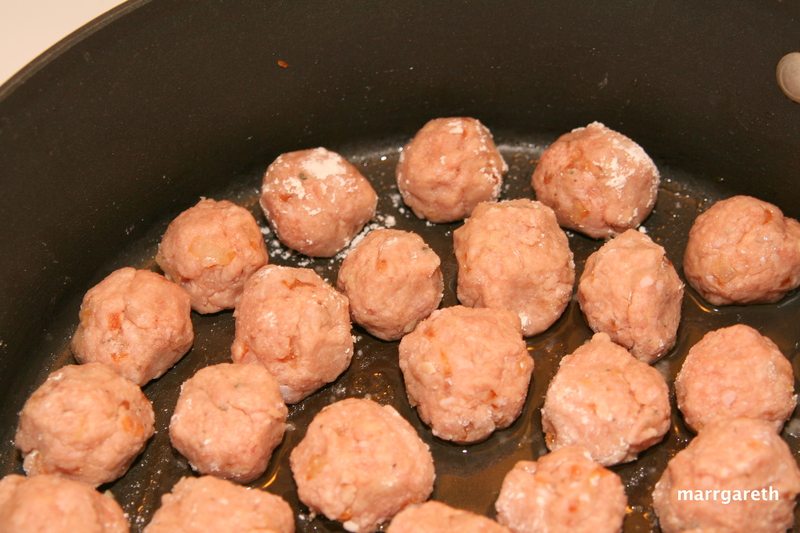 Heat the pan and cook meatballs all around until browned. 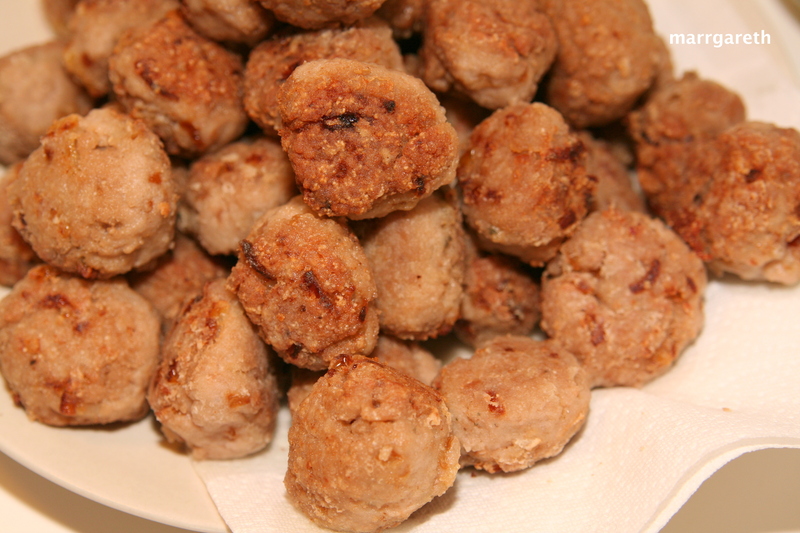 Remove the meatballs and drain them on a paper towel. We will prepare sauce in the same pan. 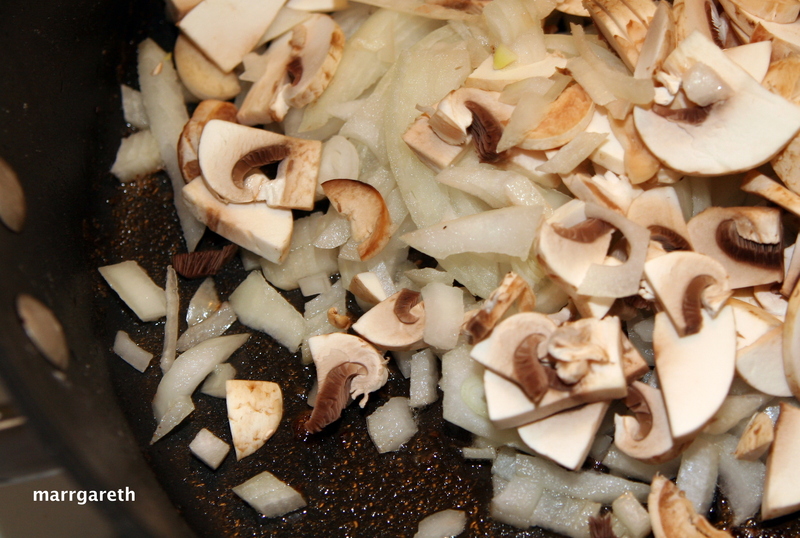 Chop the onion, mushrooms and cook stirring occasionally until softened. 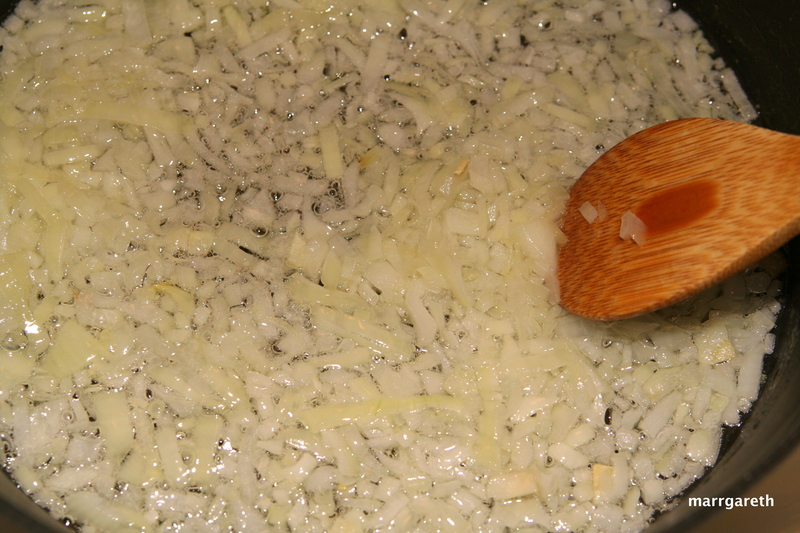 Add crushed garlic and cook for 30 seconds, stirring. Add the meatballs. Pour the water, add tomato paste, sugar, peppers, green beans. Simmer for 30 minutes or until vegetables cooked well. Season with salt and pepper to taste. Serve them with pasta or rice or mashed potatoes. 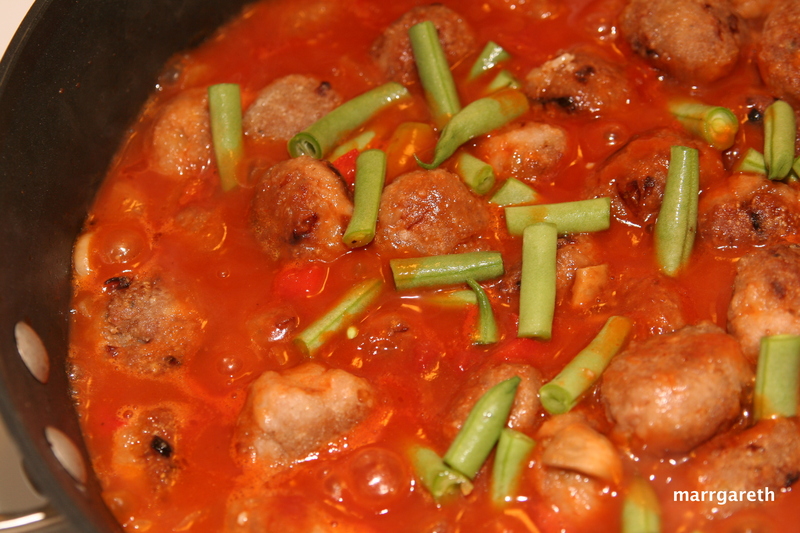 Great sounding simplistic meatball recipe. Delish. Thank you Jed. I hope you will like them as much as my kids and husband.